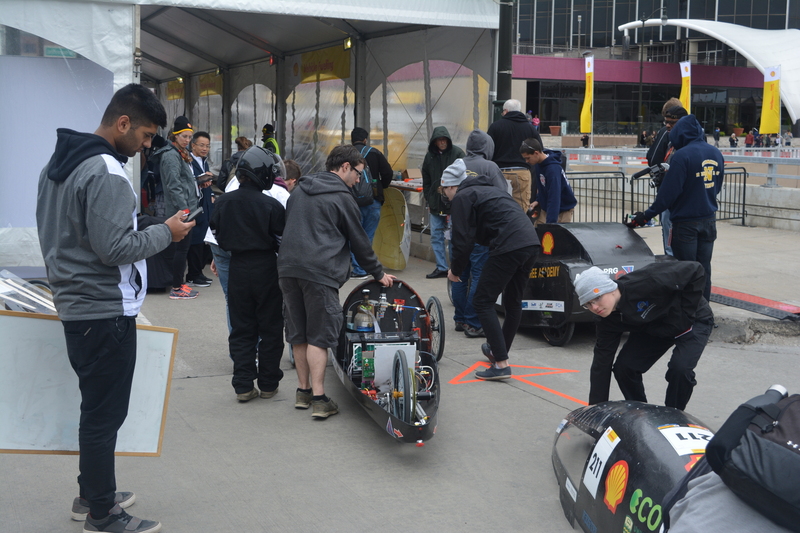 Our team had another early start this morning we lined up Alice at tech inspection at 7:45am to get in at 8:00am, when it opened. We passed with flying colours for most of the stations like Brakes, Safety Belt, Visibility, and Horn. 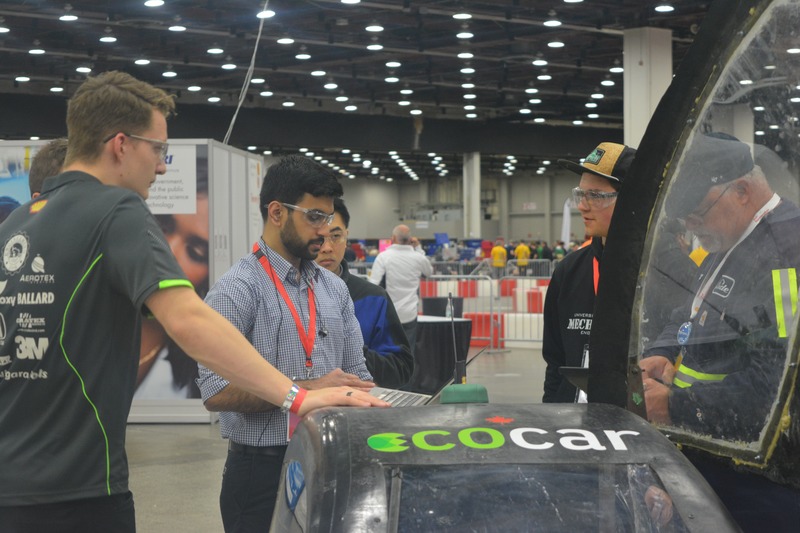 Only the Hydrogen station gave us issues (the start-up cycle wouldn’t complete) and so we left tech inspection with 9/10 of our checks completed. Our Fuel Cell team worked diligently all morning to fix the issue. 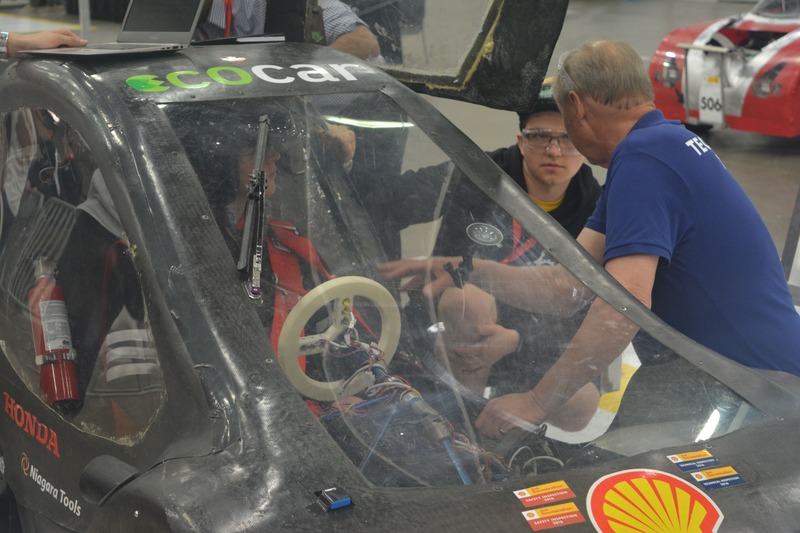 With tech inspection permanently closing at 4:00pm today, our team knows how crucial it is to pass this hydrogen test. We are currently experiencing some difficulties with the hydrogen board on Alice and our team is working hard to find a solution to fix it. It will be a tight time squeeze to implement a solution into Alice before tech inspection closes at 4:00pm, but we remain hopeful that we can make it through so that we are allowed to race today. 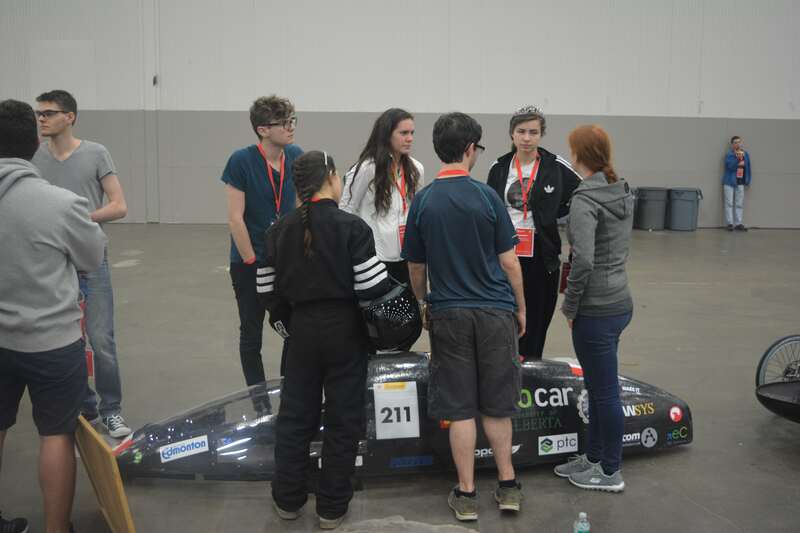 In the meantime, the team lined up Sofie in a long queue of prototype vehicles waiting to eagerly begin competition on the race track. As Sofie lined up at the starting line, our team excitedly waited around the track to cheer her on as she drove by. To help Karina, our driver, know when to turn into the finish line, we wrote numbers on a giant whiteboard! Cheers rang out as Sofie passed us on her first lap – our team had a great sense of pride seeing the vehicle we worked so hard on this past year race for the very first time. 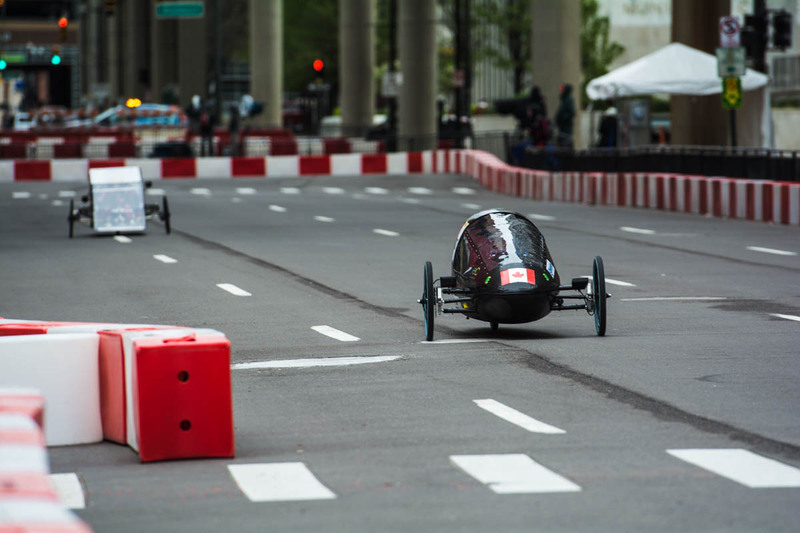 While Sofie was a bit slower than we anticipated, (the initial laps were about 10 seconds slower than we needed to finish the race in the time limit) she got faster as the fuel cell conditioned itself and improved internal efficiency. Our team crowded to the finish line as Sofie pulled in after her tenth and final lap. 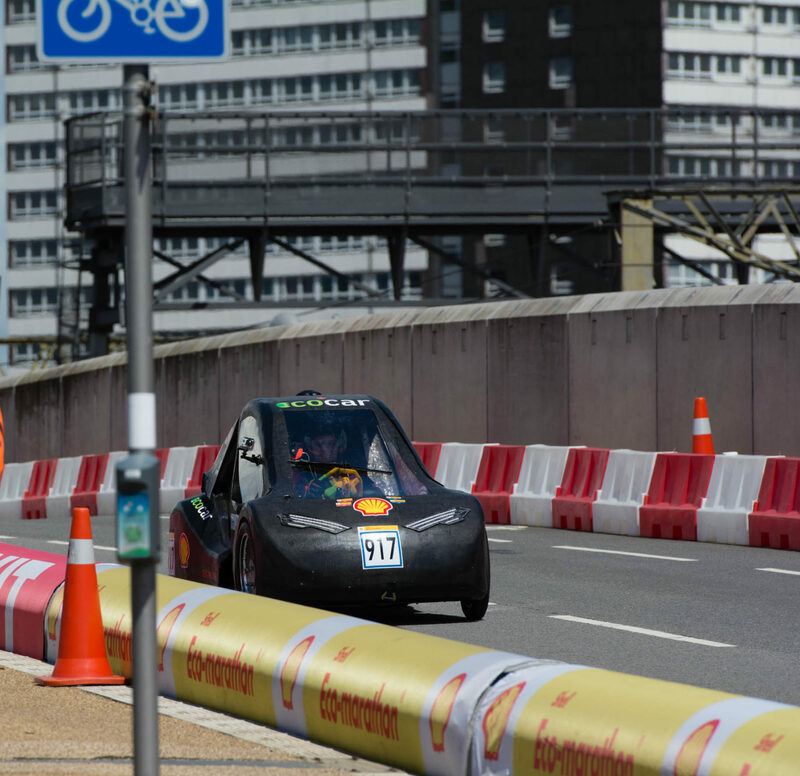 After a bit of a wait, Shell posted our result: 155km/m^3 hydrogen. This result is still unofficial, but our team is excited that we put up a good result. Not bad for our first run ever! To put that into context, Alice got 182 km/m^3 hydrogen last year. However, the conditions are quite windy this year compared to last year, so we think this might have had an impact on our results. The other teams who ran last year also seem to be suffering in efficiency. After lunch, we took Sofie out for another attempt on the track. Again, it went very well and our team was ecstatic with our completion. We drove a bit faster this time around because we increased the current to our motor and shaved off a couple of minutes to our race time. This run resulted in a slightly lower efficiency at 153km/m^3, which we think is due to the higher current. As we got into the middle of the afternoon, our team had to make a tough decision; one of the fuel cell boards in Alice appears to have blown, and with no time to make a new board, our team decided to take the board out of Sofie to put in Alice since their electrical systems are very similar. We are hoping this will allow us to pass tech inspection before 4:00pm because we can build a new board for her this evening so that both cars have boards for racing tomorrow. UPDATE: We were unable to fix Alice before tech inspection closed, so we will now focus our attention on improving Sofie. Unfortunately, this means Alice won’t be able to post a time this year. However, we are currently sitting in 2nd place with Sofie. We are very close to the 1st place team and hope to improve our efficiency in our next run. We’ve swapped our gear to another one that was worn-in during testing in Edmonton that we hope can reduce geartrain friction. Additionally, we are doing our best to shave off a few more grams of weight from Sofie! So great to hear how Sophie and Alice are doing – and the great on the go problem solving and team work! Good luck tonight and tomorrow!